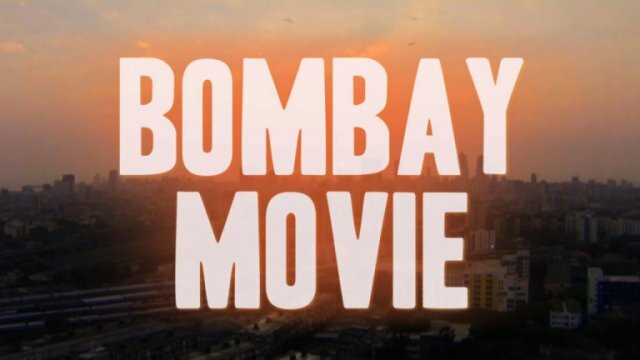 BOMBAY MOVIE is the story of Raja Menon, an independent filmmaker living in the shadow of Bollywood. Inspired by his watchman to make a film about the city's overlooked working poor, Raja enlists a two foreign producers and a star cast (Naseeruddin Shah, Vijay Raaz, Arjun Mathur) to make the gritty realist film of his dreams. Bombay is India's city of dreams, a hallucinatory metropolis with 18 million dreamers, hustlers and thieves. It is the toughest city in the world, defined by brutal working conditions and success stories so unreal they could be fairy tales. Enter Raja Menon, a filmmaker whose previous film was a disheartening box office tank. This time he's back with a challenge for Bollywood: a true story about India's working class, about the men and women who quietly serve Bombay's wealthy and are treated as second class citizens. A far cry from India's typical song and dance films, "Barah Aana" is a dramatic retelling of the demoralizing treatment that goes unnoticed in Bombay. The one problem: Bollywood will NEVER make this film. Inspired by his outsider status, Raja sets out to make this film independently­ without the support or the substantial financial backing of the studio system. Two foreign producers (Raj Yerasi, Giulia Achilli) are so taken with the script and its potential to do well abroad that they agree to greenlight the production. Raja enlists a talented team of actors (Nasseerruddin Shah, Arjun Mathur, Vijay Raaz) and a hardworking and seasoned film crew. Together, ready for anything, they set out into the streets of Bombay. They are a circus in the slums where they are shooting, and outlaws in the rarefied suburbs. They battle crowds, corruption and sleep-deprived actors. At times it looks as though they'll never succeed. But Raja's determination leads them through the shoot. With opening weekend only weeks away, they face a new problem: How to get the people portrayed by actors on screen to become the real life audience for their Barah Aana? How to convince someone who sees extreme hardship everyday pay the high price to see it fictionalized on screen? Now the accuracy of their depiction is at stake, as Raja waits for friends, critics and India's massive movie-going audience to pass judgment on the love letter to a city he's toiled to make.